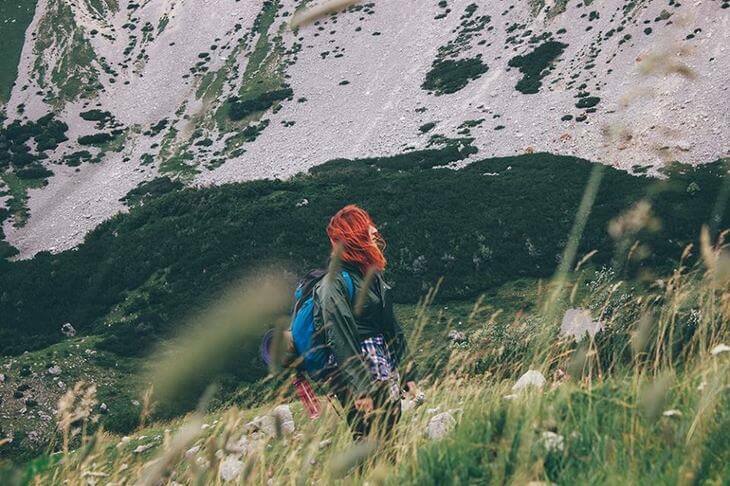 Ginger in Montenegro (real name Jelena) is a local writer, blogger and travel enthusiast who loves to be inspired by her surroundings in Montenegro. I interviewed Jelena to see what she loves most here and what she recommends for your trip. As both a mountain and coast lover, she's lots of great must-dos for both! Tell us about yourself –where do you live, why do you live there and what do you do? I live in the little coastal town called Kotor, which I like to say is like a fairytale. I came here after few years of life in another dear city in Montenegro, Nikšić, because I needed a change and felt that life near the water would be a good idea. I wanted a place that suits me and inspires me as a writer and I was right, Kotor is my home now. 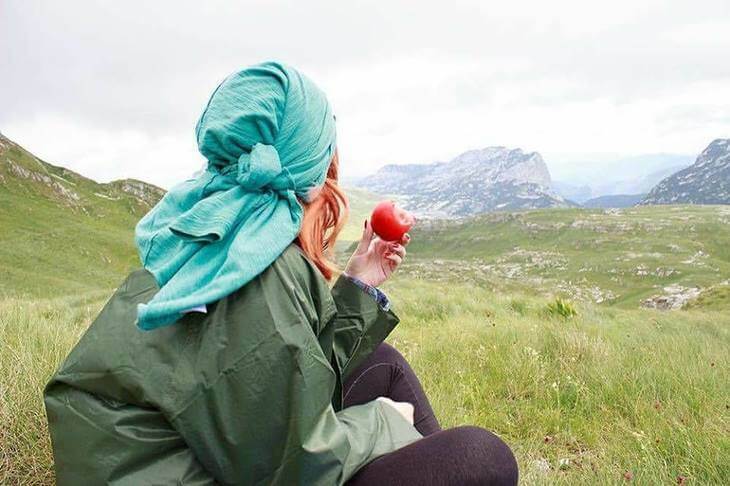 I study tourism while I build a career in that field, work on my blog Ginger in Montenegro and write my second novel. 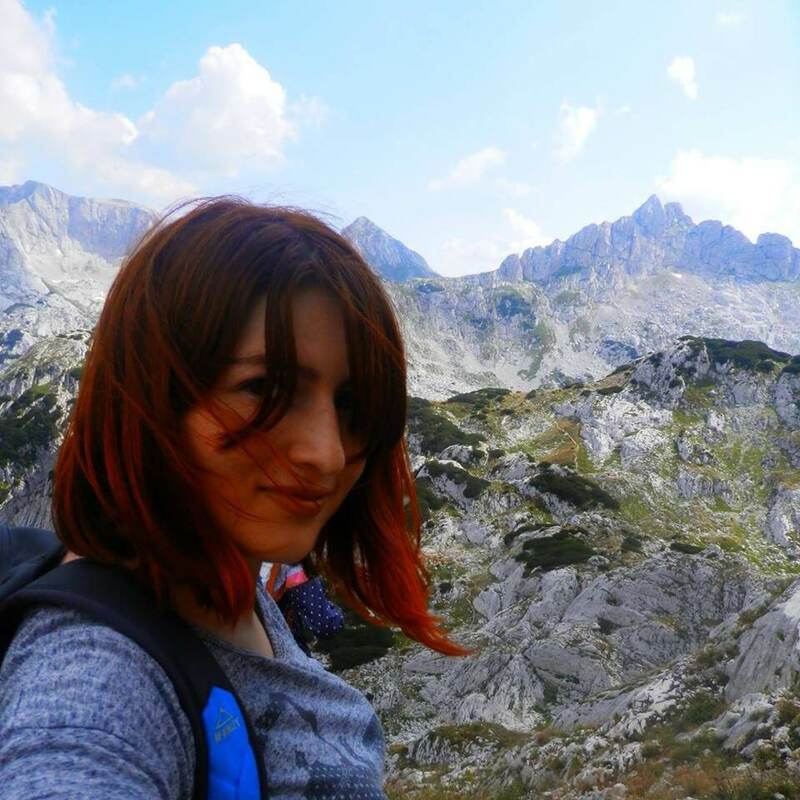 I was lucky enough to be born in the North of the country, in the little town called Zabljak, which is placed in the centre of the Durmitor mountain region. Even now, when I spend just two months in a year there, it’s the place that means the world to me and that I will never stop loving. What are your favorite things to do near where you live? Kotor lies in the heart of the magical Boka bay (Bay of Kotor), so I feel like I’m already in the main spot, still letting myself get lost in the romantic, narrow streets of the old town; climbing the fortress; enjoying homemade juices with the only family that lives above it; taking the local bus that goes along the sea from Kotor to Tivat with my notebook; enjoying the scenery and just observing people around me. I have never been myself more than on the streets of Kotor, so it doesn’t matter where point of the Earth I am, it’s always okay to come back home, because home is pure magic. In the winter it gets dark, so I go to Tivat just to see the sunset, which is always stunning there and then I come back. I love to talk to the fishermen from Perast. Boka is a paradise truly. When I ‘m in Zabljak, I feed my adrenaline addiction, so I’m normally somewhere in the mountains, canyons, valleys, doing my thing. Where are your favourite places to eat out in your town and what would you recommend on their menus? Well, this is the funny part. I moved to the seaside but don’t like seafood. So, it’s a struggle. But I love eggplant stuffed with mushrooms, onion, vegetables and cheese in Astoria. And the risotto pomodora and pastry plate which has variety of cheese and meat and ham and good variety of wines in Old Winery. In Zabljak, it’s kacamak - buttered potato and cornmeal in kaymak (fresh salted cream), served with yoghurt in the restaurant Koliba. What do you think are the places all visitors to your town must see? You have to dance on the streets of the old town, climb the fortress and have a homemade wine in the house on the top, party in Letrika, rent a kayak and explore hidden beaches in the bay, jump from Seagull’s rock - just explore the things that are not part of the agencies' offers. 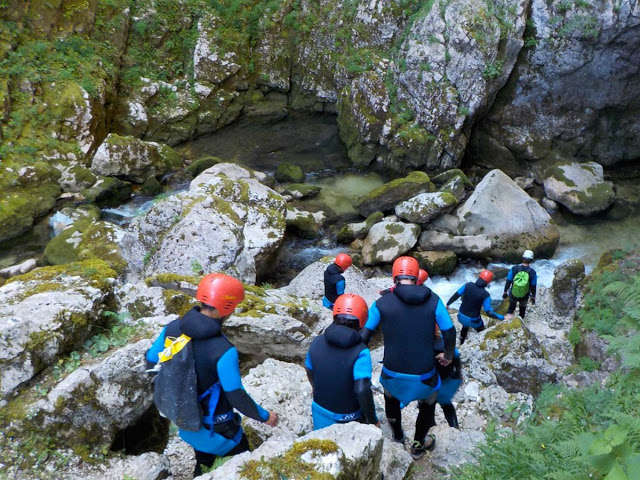 At the top of the list is canyoning in Skurda Canyon. In Durmitor, you have to climb the highest top, Bobotov Kuk, try the rafting on Tara River, canyoning in Nevidio Canyon, skiing on the slaps of Savin Kuk, visit Skrcka jezera, have a coffee in Konoba Lomni Do. What are the best places you’ve visited in Montenegro and why? I’m from the north of the country, and Durmitor National Park will always be number 1 on my list. I’m a huge fan of outdoor activities and that mountain is the best place for it. Also, I recommend Skadar Lake National Park and Biogradska Gora National Park. What are your favourite Montenegrin foods? Raštan - a slightly bitter, sturdy dark-green vegetable from the cabbage family. It has been grown in the region for over 2,000 years and is deliciously cooked into a stew with smoked ham hocks. Also, bean stew has been my favourite dish since I was a child. What do you love most about living in Montenegro? At this point of my life, being a full time traveler is a really attractive idea, but I choose to study and work in Montenegro. Even when I’m not traveling, it feeds my wanderlust, it answers my adrenalin needs and inspires me as a writer. As a person who’s in love with life, smells, people, coffee and nature, I enjoy living in a country where time goes slow. I have more time to enjoy! If you had just one day in Montenegro, what would you do? Let’s imagine it’s one day at the end of June. I would get up early in the middle of Durmitor, the mountain where I would like to wake up for my whole life. I would hike to Debeli Namet with a pair of skis on my back. I would ski - that’s one of my favorite things to do in Montenegro. Then I would go down, eat some smoked ham and have a glass of wine. Then I would drive myself to the Bay of Kotor. I would walk through the streets of the old town and just before the night I would go to Ada Bojana, to immerse my feet in the warm sand and have a night swim. What do you think is the most underrated site in Montenegro that you would encourage more people to visit? Šavnik Municipality (between Niksic and Zabljak). You would not believe how beautiful it is. Can you tell us about one of the most unusual/entertaining/surprising experiences you’ve had in Montenegro? I’m a huge fan of extreme sports, so it’s my favorite thing in the world to go canyoning, rafting, skiing, climbing, paragliding, but the most intense experience I had was a few years ago when I drove myself to Tara bridge and jumped from it... with a bungee of course. I will never forget the feeling, and I would love to do it again in the future. *Bungy jumping from the Tara Bridge has been suspended for now, but you can still do the thrilling zipline that crosses the canyon. Read about it here. And finally, what’s your top tip for a having an unforgettable holiday in Montenegro? Explore, get into the touch with the nature, don’t be afraid and be ready to climb that beautiful mountain that’s calling you. It’s calling you for a reason. Thank you for sharing your wonderful tips and experiences Jelena! If you'd like to follow Jelena, you can find here on Facebook and Instagram.